In a nutshell, they said that the older Creative Suite versions CS4 and CS3 will only be able to get upgrade discounts to CS6 until the end of this year… Starting soon in 2013, only one major version back (i.e., CS5 and CS5.5) will be eligible for upgrade pricing to CS6. This goes for suite editions as well as standalone products like Photoshop. Take advantage of our special introductory upgrade pricing on Creative Suite 6 for customers who own CS3 and CS4 individual products and suite editions. This temporary upgrade offer is valid through December 31, 2012. After that date, only customers who own CS5 or CS5.5 products will qualify for upgrade pricing to CS6. In other words, Adobe’s longtime “three versions back” upgrade policy will last only until the end of this year… Starting in January 2013, owners of any product older than CS5 would have to pay full price, or switch to the Creative Cloud instead. Why is Adobe making this change? It’s likely that part of their reasoning for shifting from a “three versions back” to a “one version back” upgrade policy is because the major CS releases are now spaced out to once every two years, compared to 18 months in the past – so there’s more time between each one. This means that if you do get on board with Creative Suite 6 before yearend, then under the new policy beginning in 2013, you’ll have over three years to consider later upgrading from CS6 to CS7 or CS7.5 down the line. You will not have to upgrade every year to retain future eligibility (a popular misconception), if you don’t wish to. But this does mean that all customers currently running Creative Suite 5 or 5.5 will also eventually have to upgrade to CS6 if they want to later be qualified to move up to CS7. Going forward, you will be able to purchase future Creative Suite products just like today, as perpetual licenses that will work permanently on your desktop – or you can go with the Creative Cloud, which offers the latest software with a discount on first-year membership for current CS customers… The choice is yours – and if you like, we have a guide for helping to decide. Not completely sure if you want to upgrade to CS6 yet? No problem, you can easily download the free CS6 trial and install/run then side-by-side with your older software, and see what you think. To get started learning the new tools, check out these free downloadable CS6 ebooks or many hours of free CS6 video tutorials. You can also see a comparison of CS6 vs. CS5 vs. CS4 vs. CS3, including new features and other changes. Wondering about your project files? Yes, CS6 should be able to open all your existing data files going back to CS3. It’s now easy to change your operating system when you upgrade (or “crossgrade”) – and you don’t have to do anything special, just buy the standard Mac upgrade to CS6 from CS3, as normal. Then, when you install the new programs on your Mac, the CS6 software will ask you to manually enter the serial number from your older Windows version – which will then validate, and you’re good to go. That’s all there is to it, really. One additional note: It’s also possible to buy CS6 upgrades that will install on both Windows and Mac OS, if that’s the capability you need instead. I don’t use the suite. I have standalone DW CS6, ID CS6, PS CS5.1, AI CS5.1. Is there a time window that I need to upgrade PS and AI from CS5 to CS6 in order not to have to buy the eventual CS7 at full price? The policies are not clear. Greetings Pat, thanks for your questions and sorry if we didn’t explain it clearly enough. All standalone applications are also impacted by this upgrade policy change, as well as suites. In other words, if you own Photoshop CS4, you only have until the end of this year to upgrade to Photoshop CS6. After that, PS CS6 will become full price with no upgrade discounts. In the future, Adobe’s plan will remain “one major version back” for upgrades. So when CS7 comes out, only owners of CS6 at that time will be able to buy a CS7 upgrade. So what does that mean for your current CS5 or CS5.5 products – when do you need to upgrade them by so that you don’t need to pay full price for CS7? The answer is, you need to upgrade them to Creative Suite 6 at some point before CS7 is released. That way you’ll retain the discount eligibility. When Will Adobe CS7 – and CS6.5 – Be Coming Out? Bottom line, what most folks are saying – if you’ll need to upgrade to CS6 at some point anyway in order to be eligible to get CS7 down the road, why not do it sooner rather than later to enjoy the maximum benefit now in terms of improved features, productivity, speed, and workflow. Thank you. I was going to update my two CS5 versions and was very shocked to see how expensive it has become. $249 for Illy update. $199 for PS. And I’ve learned there is no longer a path to give into the “suite” edition from standalones. I guess Adobe is hell-bent on the cloud subscriptions. This is not acceptable to me at all. Not a happy 15-year customer who has been a faithful updater. Sure Pat, glad to help. Actually those prices are pretty much the same as always for major version upgrades of Photoshop and Illustrator – for example, to upgrade from Photoshop CS4 to CS5 also cost $199 a couple years ago. And Adobe has said they will continue to make those choices and paths available, even as they roll out the Creative Cloud. You’re right though that it’s no longer possible to upgrade from a single tool to a suite. Adobe CS6 vs. Creative Cloud Comparison: Which Is Right for You? I just don’t want to do the cloud. Thank you for all your responses. Very valuable. I am paranoid about a cloud subscription. Once you leave the Disc In Hand mode, you are at their mercy for price changes. 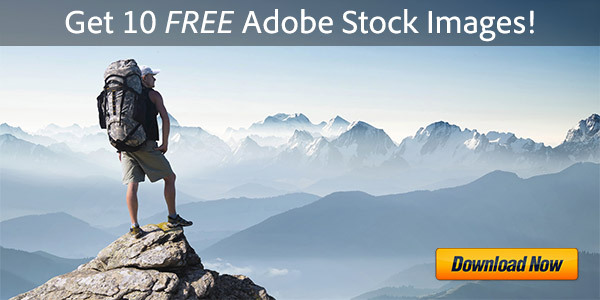 What if Adobe gets 50% of its users to buy into the cloud at $X a month. You are captive if they decide to raise it to $XXXXX a month. You have no recourse. What if you can’t get online for whatever reason (storm, etc) for the update period of time to reactivate the subscription? You are dead in the water. You can’t work. I will never do the cloud. I would try to find other programs to replace Adobe products if I must. Thanks for your thoughts Pat. You’re right that future monthly pricing for the Cloud is subject to change (after your initial contract is up), and you do need to be online at least once per month (when requested) for revalidation of your subscription. Some folks also don’t like that if you cancel your membership or stop paying, your software will no longer start and you can’t open your project/data files. But that said, there are a lot of advantages as well, and Creative Cloud is getting five-star reviews from users so far. So really, it depends on your circumstance, needs, goals, usage, and so on – each customer is different. Good points, all. But I am going to be a Luddite here and refuse to ever do the Cloud. My paranoia with Adobe is based on what they did to GoLive Dynamic Content after they bought MM. At version GL6, they dropped DC and left a lot of us hanging. I had to go to Dreamweaver, which was a painful transition since early DW was less than good code. So I do not trust Adobe any more to do best by its loyal customers. I own nearly all of Adobe products, and current versions (except for Flash which is ancient history). I switched to Indy when Quark failed its customers. I hope Adobe doesn’t try to bully its loyal customers into the Cloud. It looks like they are trying to, which is sad. Well from everything we’ve heard, going forward Adobe says they will continue to offer the traditional/perpetual Creative Suite licenses as well, even as some customers switch over to the Cloud… So, not to worry – notwithstanding the upgrade policy change described above, we generally have more options, not fewer – sort of like now having the choice to either buy your house or rent your house. And for those who own or upgrade to CS6 now, with the new policy you don’t have to consider upgrading again (if you don’t want to) until just before CS8 comes out in 2016.
:-) Ok… so I should invest in the CS5 to CS6 upgrade for the two standalones I own now soon… Timeframe I am guessing is end of year. Concur? But we don’t think you’ll regret it – Photoshop CS6 is so much better than CS5 that you will never want to go back! Enjoy the new software. 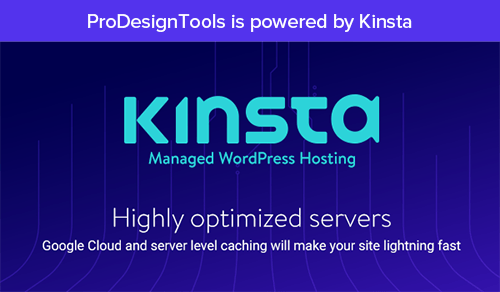 Are you an Adobe site or an independent site? OK… thanks. It feels like you are total advocates for Adobe’s new policies. If you don’t feel that way after seven personal replies, well, that would be a disappointment. Sorry we couldn’t help further. No worries. I am grateful for your input. I am just weary of Adobe’s positions. I didn’t mean to offend. Not at all Pat. After over three years of running this site, we’ve seen everything. The bottom line is we hope we helped get you the answers you need – because as you mentioned at the outset, it can be confusing. If we did that, then let’s call it a success. Good luck, and feel free to stop back anytime. I am happy that you are independent. That is what I thought when I found your site. I am just so disappointed in Adobe after owning so many of its products that I don’t trust it anymore. Understood. If you get the chance, please stop back after your upgrades and let us know how it went, or if you have any further questions. 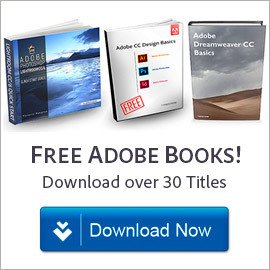 Is it possible to upgrade to Adobe Acrobat XI, from CS3? Sorry Andrew, there are upgrade paths from older versions of Acrobat (Pro or Standard) to the new Acrobat XI, but no ability to move from a CS3 suite or tool to Acrobat at a discounted price. Thanks for the quick reply. So the only option would be to purchase the full Adobe Acrobat XI version? Or do you think it would make more sense to upgrade to CS5 or CS6? I am just wondering from a cost standpoint, what you would suggest? Sure Andrew. It’s never been possible to upgrade from an older suite to a newer tool by itself, and that includes Photoshop etc. So we’d be happy to help you sort through it to find the best and least expensive option, but first it’s important to know – which exact CS3 product do you own now? 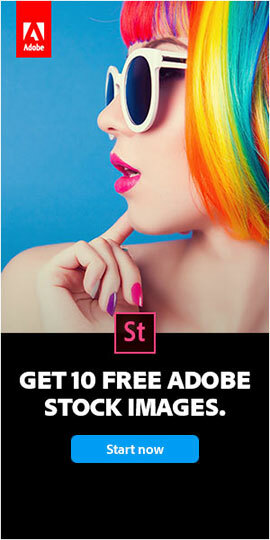 Adobe tells me that this offer will not end at the end of 2012. Can you confirm? Thanks. No, not sure where/how you heard that Chris but it is not correct. The date has been set for December 31st since January 2012, and to this day it remains in place. This was confirmed in an email Adobe sent us yesterday. Sorry, but I was told that by Adobe’s advertising agency, who confirmed it with Adobe. Exact words: “Adobe’s special introductory price for CS3+ customers has been extended into 2013. We have not announced an end-date for this special price.” Please advise your readers accordingly. If you have any doubt, we’d suggest you contact Adobe directly and get the information straight from them rather than a third party. As I indicated, I was told this by Adobe’s advertising agency of record. I was also told this by an Adobe product manager last week. The link you provided doesn’t support your claim, only that the Creative Suite offer is ending. 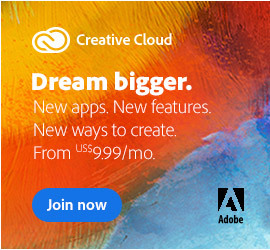 Please point me to where on the Adobe site the Creative Cloud offer is ending. Or perhaps we’re mixing apples and oranges here? If so, my apologies. Ah, OK. You’re talking about an entirely different offer Chris. This page and all discussion above is about Adobe’s offer for Creative Suite 4 and 3 owners upgrading before year-end in order to receive the discounted upgrade pricing to CS6. After that it becomes full price. What you’re referring to is the offer for existing CS product owners (anything from CS3 through CS6) to join the Creative Cloud for $29.99/month for the first year. That offer was originally due to expire on August 31, 2012, but was extended indefinitely and will continue to be available. So this is apples and oranges. I have Photoshop Elements 11. What is lowest cost for CS6? It’s a good question Joe, but there is no upgrade discount when moving up from Photoshop Elements to CS6… Here are all the Adobe upgrade paths available for Creative Suite 6. So what is the lowest cost? Well, if you’re a student (or could become one), then it would be Adobe’s Student & Teacher Editions, which offer discounts up to 70% off the regular price. If you wouldn’t qualify for an educational version, then the Creative Cloud could be an option. Otherwise, the standard Adobe pricing would apply, for a permanent version. I am a photographer for NILMDTS (Now I lay me down to sleep), and the work we do is free for the parents who have lost their child. Could we qualify for an educational version of Photoshop? I have bought Photoshop CS5 and would just need the upgrade. Gosh Gary, if there were any way we could we would, but unfortunately we don’t have that power… You could contact Adobe directly to see if they could help. One other avenue you could try if you are using Adobe software for non-profit work is TechSoup.org, who may be able to offer you a low-cost license. Best of luck, and thank you for helping those folks! I can’t tell you how disappointed I am with Adobe. I barely was able to upgrade my iMac to be able to run CS6, I’m running CS4 Design standard at this point. Now I find out I can’t upgrade. Shame on Adobe, I think this just to push your cloud service on us. Many artists struggle to pay for this software and after 15 years of using your products I feel like I’m being squeezed for every dime I have. Guess I’ll be forced to stay with CS4 until I can figure out a way to come up with more money. Hello Rich, thank you for sharing your thoughts. While some may find it disappointing, actually previously Adobe had an upgrade policy that was far more generous that most other major providers in the software industry. Manufacturers like Microsoft and Corel do not grant any discounts for programs that are 5 or 6 years old. In fact with Microsoft, the largest software company in the world, upgrade discounts for any version – even the last one – are no longer offered… full price is the only option for those. So the new plan here is really not out of line with peers in the software field today. Note that Adobe is retaining upgrade discounts for older versions like CS4 when moving up to the Creative Cloud ($29.99/month for everything), and if you just want a single tool instead then individual product subscriptions like Photoshop CS6 for $19.99 are also available. I used to receive a newsletter or promotions from Adobe by email. But for quite some time, I have not received any email from Adobe. I just found out yesterday that my CS4 Design Premium cannot upgrade to CS6. I did not know the upgrade deadline was end of last year. I just called the customer service at Adobe. They told me that I was on their mailing list (but I have not received any email from Adobe for quite some time). She told me that it was written on their website about the deadline for upgrade too. Well, if I don’t need any questions answered or upgrade, I will not visit the Adobe site. Anyway, she pushed me to subscribe to Creative Cloud. Yes, the first year is a good price but the following years I’m less sure. I am just a freelance graphic designer and try to save as much as possible. Would someone advise me where I can upgrade to CS5? Is it worth it to do it? Hey there SS, we can’t say why you are no longer receiving emails from Adobe, however if you’d like to sign up for our own e-newsletter then we promise to keep you up to date on major Adobe software developments like these! Sorry about that, but getting the software directly from Adobe is really your best bet – and if the cost of the full version is too much then you might try a $19 Photoshop CS6 subscription, or better still, take advantage of 40% off and upgrade your CS4 to the Creative Cloud. What Are the Differences Between Adobe CS6 vs. CS5 vs. CS4 vs. CS3? Ok… I’m way late in finding out about CS3 upgrade deal. I understand it’s too late for me to do the upgrade at a discount. My question is what about the CS6 upgrades that are on hard copy disk. If I purchased one of those would I still be upgraded? Would it register and upgrade? Hi Rhonda, Adobe has already discontinued all boxes (hard copy disc/DVD versions), both for Creative Cloud and for CS6… Everything is sold now via direct download. But either way, you can no longer get an upgrade discount from CS3 to CS6. However, you can still get an upgrade discount from CS3 to Adobe CC (Creative Cloud). I use CS5.5 Production Premium both at work and home (home copy I’ve paid for myself just for the convenience of not having to be at the studio if I want to work late). Now my work is talking about signing up for the new CC release. I’m fine to upgrade once in a while to keep parity with work but think a personal Cloud account’ll just be too expensive. Question is, will I be able to use my work’s licence to run CC at home (given that I won’t be using the work licence at the same time). Hope this question makes sense. How Many Computers Can You Install and Run Adobe Software On? If I update my operating system to Mac’s latest, will my CS3 series of software remain functional? So really your mileage may vary, and unfortunately there’s no way we can give you a firm assurance. Thanks very much for the reply, sounds like good news. And what can you tell me please about the advisability of upgrading to Lion? After reading those comments Mountain Line appears out of the question. Adobe CS3 Compatibility on Mac OS X Lion v10.7? Generally, bottom line, older software doesn’t work so well on newer operating systems. 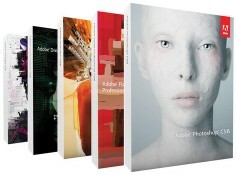 Biggest Ever: Win FREE Adobe CS6 Master Collection Suite! ($2,600) Adobe Acrobat XI (Acrobat 11) is Now Available – So What’s New?